Stephen Schwartz and Winnie Holzman’s phenomenally popular musical Wicked is back in Sydney on its 10th anniversary tour – and though the show took time to hit its mark on opening night, the audience still found it “thrillifying”, as audiences have been doing the world over since the show premiered on Broadway in 2003, grossing around $3 billion to date. 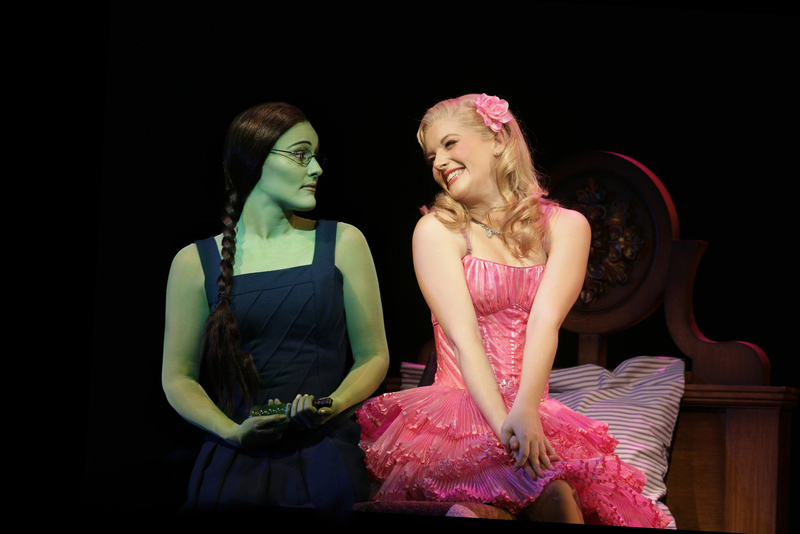 For the uninitiated, Wicked is a prequel to The Wizard of Oz, telling the story of how two unlikely friends – the green-skinned misfit Elphaba and the perky, popular Galinda – become the Wicked Witch of the West and the Good Witch Glinda. Act I doesn’t feel as sharp as in the past, skimming along like the song “Dancing Through Life”, almost as if on autopilot at times, without fully landing all the moments. In Act II, however, it settles and finds its heart. Jemma Rix’s lovely, warm Elphaba is the heart and soul of the show. She gives a dramatically layered performance and sings with a gorgeous tone, bringing a spine-tingling, crystal clear belt to the show-stopping, anthemic “Defying Gravity”. Lucy Durack returns to the role of Glinda, having starred in the original 2008 Australian production. She appeared to be struggling with some vocal issues on opening night and her voice sounded somewhat scratchy. She also pushed the comedy a bit too hard with inverse results. However, her scenes with Rix in the second act were as touching as ever. Reg Livermore is wonderful as the not-so-wonderful Wizard of Oz, bringing nuance, humanity and a winning showmanship to the role, Steve Danielsen is an understated presence as Fiyero, without a great deal of chemistry with Rix, but he sings beautifully, Maggie Kirkpatrick reprises the conniving Madame Morrible with aplomb, and Emily Cascarino and Edward Grey do a good job as Nessarose and Boq. Wicked tackles serious themes about oppression, tolerance, propaganda and fear mongering, which strike a real chord right now. But it’s the “swankified” spectacle of the lavish set and costumes, the catchy, soaring melodies, and the uplifting “girl power” sisterhood between Elphaba and Glinda that have won it such a huge following. The production may have lost a little of its sparkle but the Sydney opening night audience was clearly delighted in the main, leaping to their feet at the end and roaring their approval. This entry was posted in Musical Theatre and tagged Edward Grey, Emily Cascarino, Jemma Rix, Lucy Durack, Maggie Kirkpatrick, Reg Livermore, Stephen Schwartz, Steve Danielsen, Winnie Holzman by jolitson. Bookmark the permalink.